Instant switch access on any computer (inc Mac). Connect up to 2 switches. Easy to use and set up - simply connect to a USB port on your computer and you are ready to go. That easy! SwitcheroO v2 makes switch access possible on any computer. It allows you to connect 2 standard switches to your computer through a USB port. The device is automatically recognized by the computer when you plug it to a USB port. Just plug & play. It is fully compatible with both Windows and Mac systems. Option to set switch delay or to ignore short/repeated switch presses. 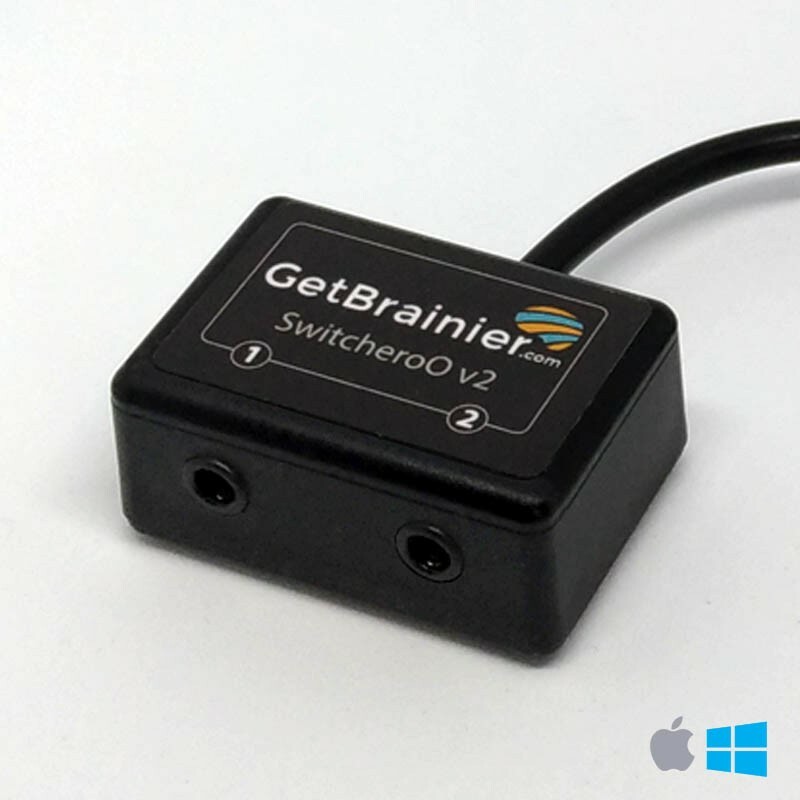 SwitcheroO v2 is compatible with the new Mac feature ‘Switch Control’ allowing you to interact with your Mac. Click Accessibility, then select Switch Control from the list of accessibility options. Select the option to Enable Switch Control.